Welcome to the Warner Robins Jeep Club! 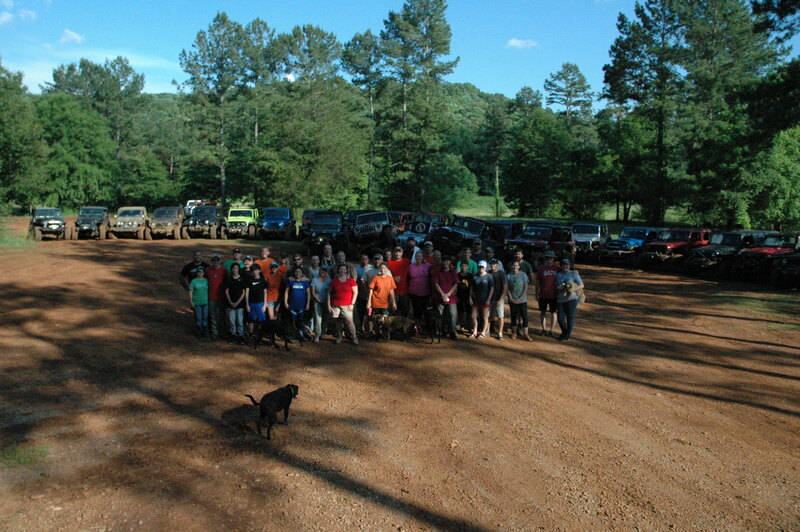 Welcome to the Warner Robins Jeep Club (WRJC) which was established in Warner Robins, Georgia in 2011. Don’t let the name fool you, you don’t have to live in Warner Robins to be a part of the club. We have members living throughout the state of Georgia and around the world. We are Jeep enthusiasts that enjoy all that is Jeep! Our members drive everything from stock Jeeps to specially built rock crawling buggies and everything in between. We enjoy cruising with the top and doors off, camping, exploring national parks and forests, and hitting the trails at off-road vehicle parks. Some of our club events also include local meet and greets, sponsoring families in need during Thanksgiving and Christmas, and assisting local children's homes with any needs they have. Our mission is to make a positive impact on our local communities and set the example for the responsible use and enjoyment of our country's natural resources. So, if you own a Jeep and want to hang around other folks who own Jeeps, register and join us at our next event (check out the Official/Unofficial Events section). We can’t wait to meet you!!! I can’t think of anything better to teach a kid to drive on..... plus it was just calling my name! Children's Healthcare of Atlanta 4x4 Ride will be held at the Sunnyside ATV park. At this location they film the show Truck Night in America on the history channel. I am extremely excited about this event. First, it is for a great cause anything to help the kids. Second, the park has some fun obstacle's to navigate through. At this park there is stuff for beginners up to the more experienced drivers. Basically something for everyone. The event itself starts on Friday May 3rd and runs to Saturday May 4th. The club will be going on Saturday the 4th as a group. The cost is $35.00 a jeep. There will be several off-road companies there to raffling off several items for your jeep. During this ride it will be for Jeeps and other 4wheel drives. ATV's will not be allowed. I have been fortunate to ride at this park and I can tell you it is a blast. For more info on this event you can go to Sunnyside ATV Park on Facebook. Really need the WRJC to turn out for this one and have a great showing. We will be convoying up there on Saturday morning May 4th leaving the Publix on highway 247 at 7:30am. It is about a 2 hour ride to get there. Sorry so early but the park opens at 9am. I figured we leave at 7:30 we will get there shortly after the park opens. Food and drinks will be available for purchase at the park. Lets show them just what the WRJC can do when it comes to helping with a great cause. There will be other jeep clubs there from across Ga. We have always taken pride in our numbers so lets show the other clubs how it's done!